because of your goodness to me (NIV). Though I have visited prisoners, I have never been imprisoned, at least not in the classic sense of imprisonment. But in the broader meaning of the word, we all have been confined to prisons—prisons of the mind. Some of us are prisoners of counterproductive habits, or prisoners within crippling relationships that hinder personal growth and fulfillment. Prisons come in many forms. Some of them are disguised as places of personal liberty, but all too often the thing we freely choose can become a cruel slave master. When David prayed the words of this psalm, he was not in a prison. He was confined to a cave or the immediate region around a cave, because he was a fugitive from King Saul who was trying to kill him. He voices this prayer: Listen to my cry, for I am in desperate need; rescue me from those who pursue me, for they are too strong for me. Set me free from my prison that I may praise your name. Are you in a prison? Is fear of discovery locking you up? Are you trapped in habits, addictions or thought patterns that are too strong for you? David was in a weak and vulnerable position. Saul, his personal enemy had an entire army on his side. For the second time in his life, David was in what we call the classic David and Goliath situation. He was outnumbered and in every way the advantage belonged to his opponent. In such adverse circumstances we need God on our side. We need the resources of heaven to tip the scale in our favor. That is precisely what happened in David’s case. The LORD arranged situations that gave all the advantage to David. David ended up sparing Saul’s life on two occasions. For a full account read 1 Samuel 24 & 26. 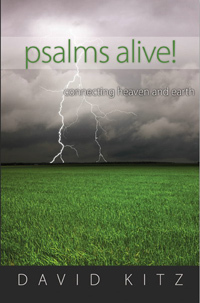 David ends this psalm with an affirmation of his faith in God. Set me free from my prison that I may praise your name. Then the righteous will gather about me because of your goodness to me. That is exactly what happened. When the LORD set David free from his prison, righteous men took note, and they rallied around David as their leader because they saw that the LORD was with him. Response: LORD God, set me free from the negative habits and thought patterns that imprison me. Help me identify them one by one, and then help me gain the victory over them in the power of Jesus. Amen. Your Turn: Can you identify habits or thought patterns that harm your relationships with others?